Garden Grove is a city located in Orange County, California. Garden Grove has the second-largest Vietnamese American population (47,331) of any city in the nation. Garden Grove was founded by Alonzo Cook in 1874. It remained a small rural crossroads until the arrival of the railroad in 1905. The rail connection helped the town prosper with crops of orange, walnuts, chili peppers and later strawberries. In 1933, much of the town’s central business district was destroyed by the Long Beach earthquake, and one person was killed at the high school. 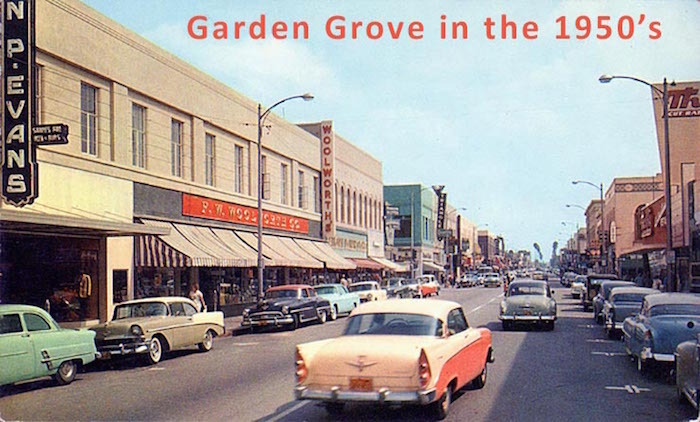 The post-World War II boom led to rapid development, and Garden Grove was incorporated as a city in 1956. The population of Garden Grove was 170,883 at the 2010 U.S. Census.